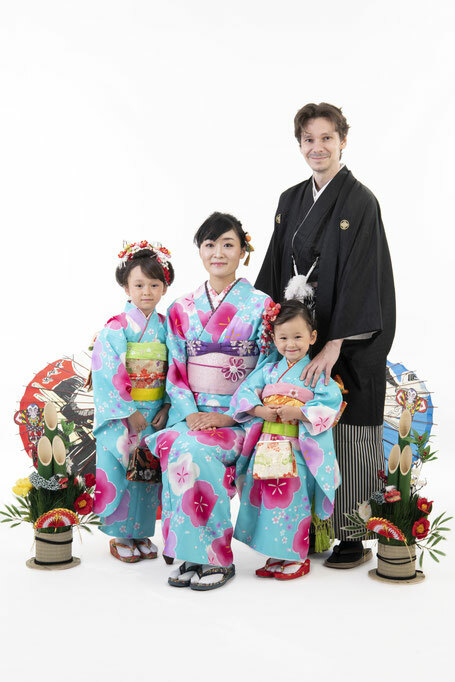 We provide you with matching outfit kimonos for a parent and a daughter. Let`s go hanging out, and wearing those in Asakusa. This is a great reasonable campaign. We will provide you with one photo shot for the customers who select to wear those kinds of pair kimonos till the end of Sept.(For only the customers who allow us to use their photos and upload in any media)We have more than 10patterns kimonos for the 4sized pairs of those. You can choose those pairs within 3sisters, or mother and 2 sisters.